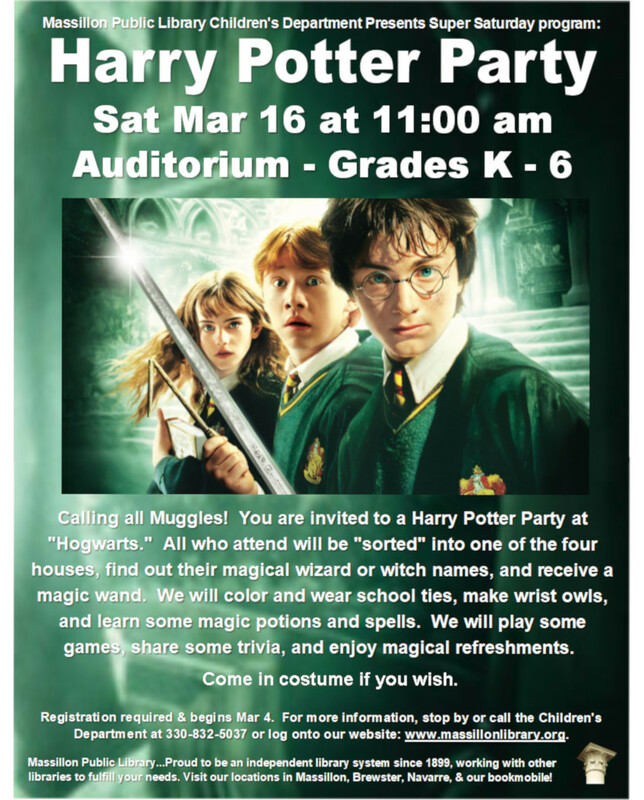 Kids in grades K-6 are invited to a Harry Potter Party! Guests will be sorted into one of four houses, find out their magical names, and receive a magic wand! Games, crafts, trivia, "magic" and refreshments will round out the fun. Guests may come in costume if they wish! Registration is required and begins on March 4.